The Browne 573171 serving turner has a curved handle to prevent it from sliding into steam pans, chafing dishes, and other serving dishes. 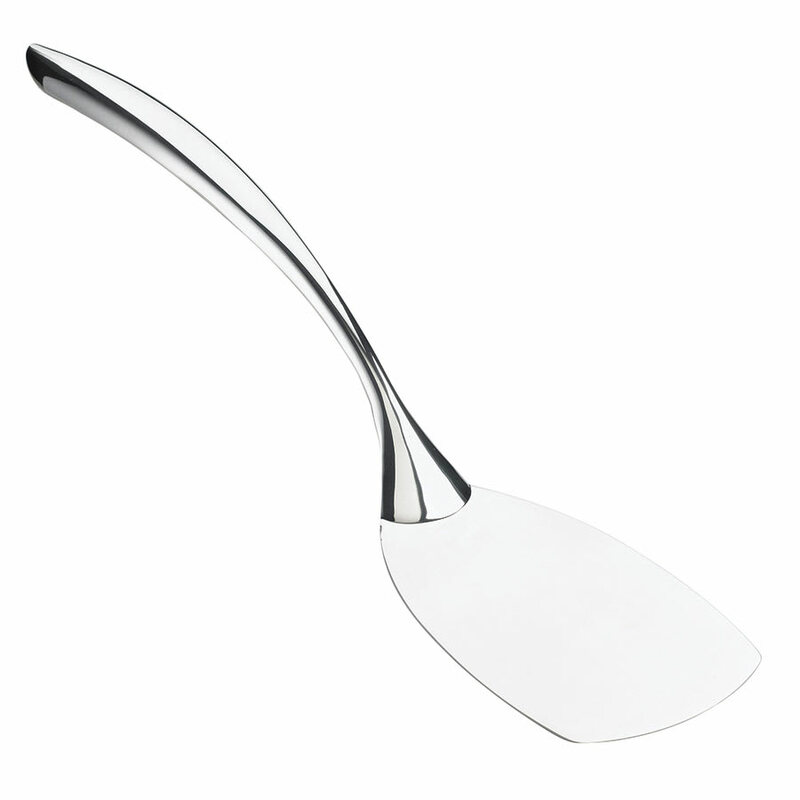 The arc design also helps users pick up the utensil from a flat surface. 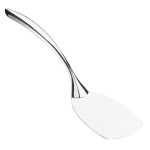 The stainless steel construction is durable with an attractive mirror finish. The 14.75-inch length of the Browne 573171 serving turner ensures comfortable and convenient self-serving on buffets, food bars, and more.